I have thought a lot about the death of Yogi Berra today. I, a life time Yankee fan did not grow up in his hay day, but rather in the decline of the Yankees, seeing players who came after him including the sad decline of Mickey Mantle and the death of Thurman Munson. Also, not to forget a dear friend of mine, who also a great Yankee who had died a lonely death, Billy Martin. In this day, may I say, that my curiosity as a fan, of this man was peaked by being near enough to his museum, to have a few cherished moments with my dad who has now passed, and my son who is carrying on my name. We visit that great little place of baseball with my dad and son, one of the rarest times we three got together. We did not see Yogi there, but it was all Yogi, all baseball. 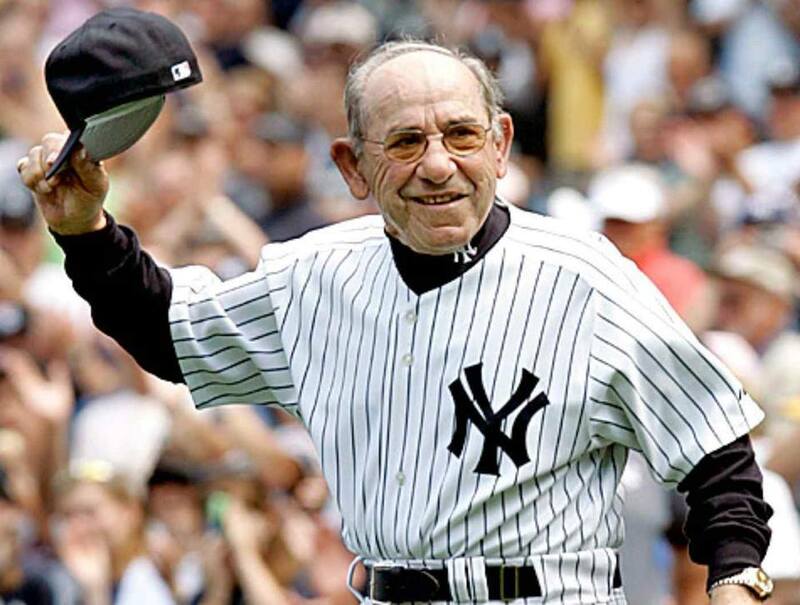 In my humble opinion, I honestly believe that Yogi was baseball and if he had not created the museum, I would not have the one cherished memory of Yogi Berra, one of my most favorite of Yankees. 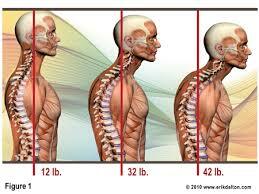 Osteoporosis, look at what else is in your arsenal! You are what you eat! Plums! Are a secret weapon for Osteoporosis! Yes! That’s right the most unlikely weapon in your arsenal to fight osteoporosis are plums, a STEADY diet of them too! If you crack open the pit of a plum, you will find a gift. 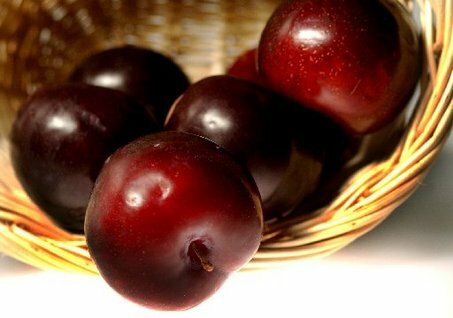 Ahhh, the plum, often overlooked as you pass over the fruit section of your favorite grocery store, reaching for apples and oranges. Is your child suffering silently??? Quarterly specials that we run can be viewed at our website which is listed below. One of the key things that we have up and coming as the summer winds down is to draw attention to our children who are going to be back at it wearing heavy back packs. As parents we always want to do the best by our children. Often, I hear, the following statement when meeting new people: “Oh, I didn’t know that chiropractic care was for children.” With that stated, the point of this blog and social media is to create this awareness that Chiropractic Care is the safest, least invasive form of conservative care in the hands of a trained professional. 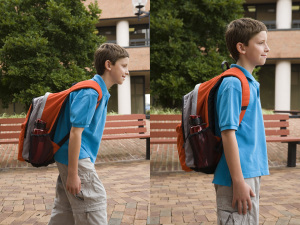 Wearing back packs laden with heavy books in this age of digital and online technology is puzzling to me, but until we transition as educators and as students to complete virtual study, there are the imposing stresses of back packs. That’s not to mention all of the poor postures I see from cell phone use on a daily basis. 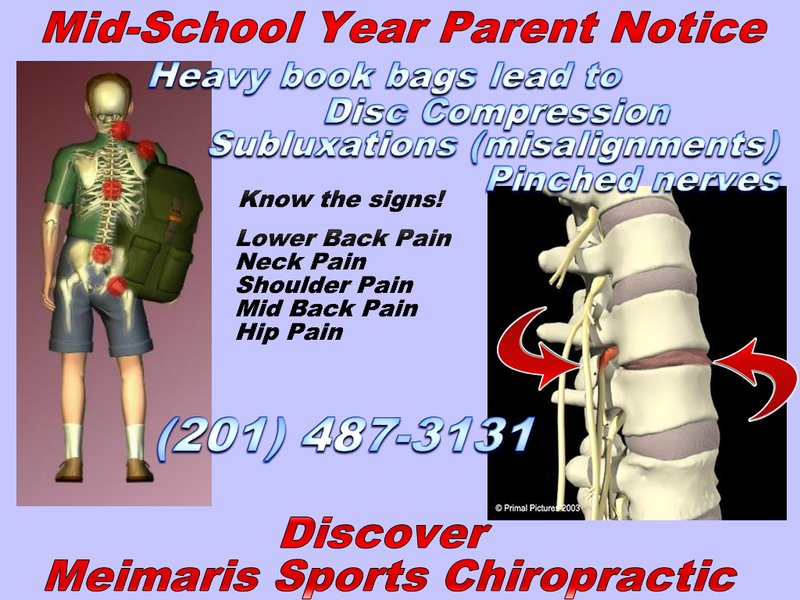 Could it be that some of the structural spinal problems adults have are directly related to the stressors and poor posture habits we had as children? In a word, a resounding, Yes! 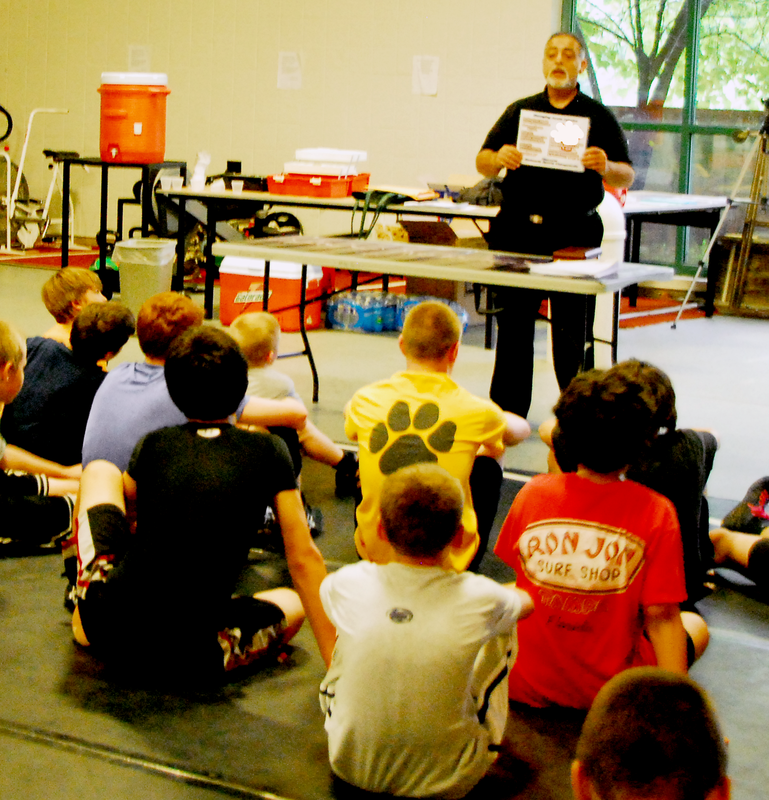 Dr. Meimaris addressing injury aftercare and back pack uses at school.